Elton John has announced his final ever UK dates for November & December 2020 where the music legend will bring his Farewell Yellow Brick Road Tour to London, Birmingham, Liverpool, Manchester, Aberdeen, Glasgow and Leeds! After kicking off in September, Elton's Farewell Yellow Brick Road Tour has already reached over half a million people and has been praised by critics and fans alike after visiting the U.S. With 2019 shows in Hove and Cardiff already SOLD OUT, you won't want to miss your final chance to see Elton John live in the UK. Check out full dates below! 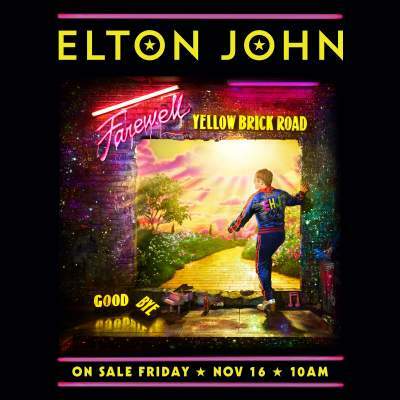 Tickets for Elton John's Farewell Yellow Brick Road UK tour dates go on sale on Friday 16th November at 10am. Set a reminder by clicking here! Click here to get more info and set a reminder!